Lisa and Ellen continue to successfully support their clients to meet and exceed their real estate goals. 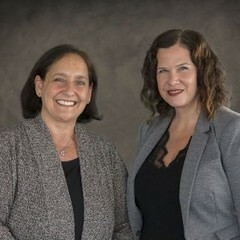 Whether buying or selling, Lisa and Ellen continue to demonstrate their knowledge of the local real estate market, ordnances and the complex and nuanced contractual process. In addition, their creative and effective marketing helps to provide the broadest exposure to properties they represent. Along with their technical and marketing knowledge, they work with compassion and caring for their clients.